Welcome to Gedling Play Forum! Gedling Play Forum, founded in 1987, is a registered charity number 1123602 and company limited by guarantee number 06538537. 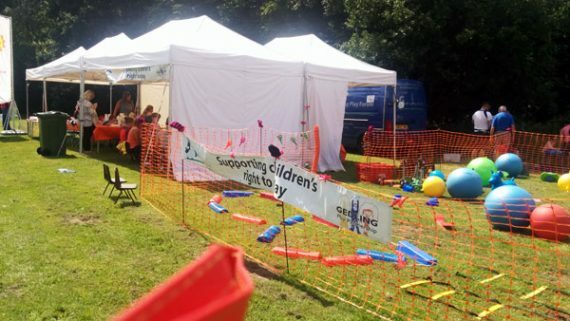 We were founded to support children’s play within Gedling Borough. We believe that children need and have the right to play in their communities – The right to play is enshrined in Article 31 of the UN Convention on the Rights of the Child. 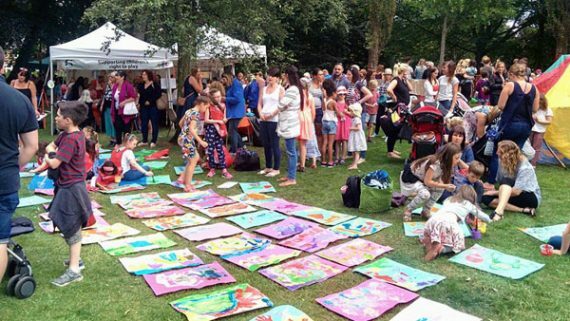 We support the wider community to encourage family play, making memories, supporting learning and community cohesion. 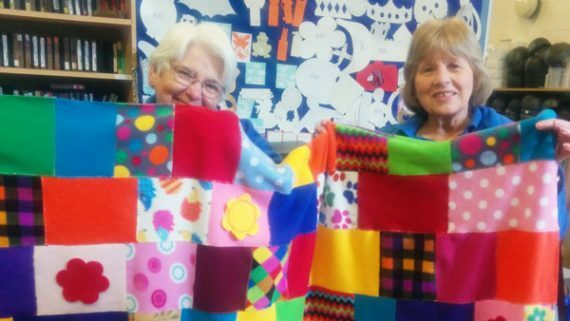 Through our Resources centre we provide a range of services to support our local community. Services range from providing a scrap store to community play activities, from volunteering activities to workshops. Please take a look through our website, follow our social media pages and get in touch! 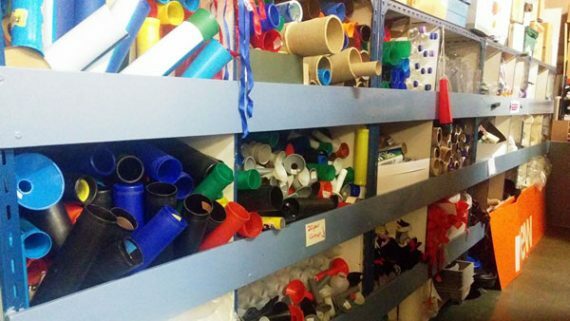 We stock a wide range of recycled materials for creative play. Most of the materials/goods were originally destined for landfill but have been donated by companies for creative play. We also receive creative materials from schools, groups and local residents who no longer need them. 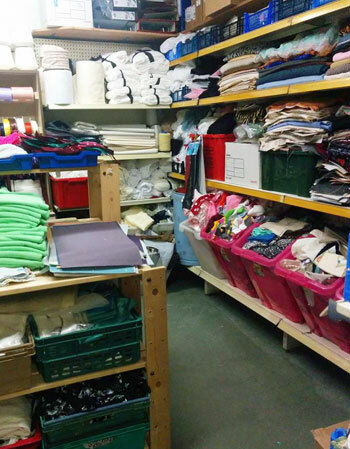 Most of the materials from our scrapstore go to local membership groups. These range from schools to families, from toddler groups to residential homes. We also use these materials in our free community play activities throughout our borough. If you know of a company that could supply our scrap store with clean non-toxic materials we can use for creative play please contact us. Types of materials most needed include: new paper and card, fabrics, plastic mouldings, clean food trays, wool, end of lines and anything weird and wonderful that we can offer for creative play. Please contact us if you are not sure. We are happy with a bag full or pallets. We share our excess with other scrap stores. The craft shop is open to all! 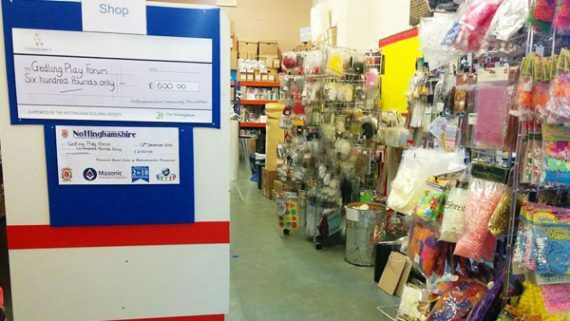 We stock a range of creative materials including paint, glue, clay, card, die cut shapes, pipe cleaners, trimmings and much more. Please note that Membership terms apply. Family membership: £5 includes first basket of scrap, extra baskets from £3. Group membership – There are no further charges for scrap materials. You can download our membership applications by selecting the following links. Please bring cash or cheque payment on your first visit. Unfortunately we do not take credit/debit cards. 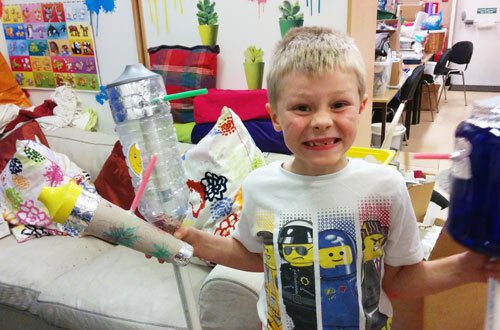 We can offer a wide range of creative play activities throughout Gedling Borough. Fees by negotiation. Please see the calendar below for events in and around the Gedling Borough area.